How about Christian karaoke? Karaoke gigs, typically held in pubs and clubs across the globe are often synonymous with lots of alcohol leading to drunken nights, lowered inhibitions and excessive partying. There are scores of Christians that love to sing. Where can they enjoy a night of singing karaoke without the concern of mainstream karaoke venues? 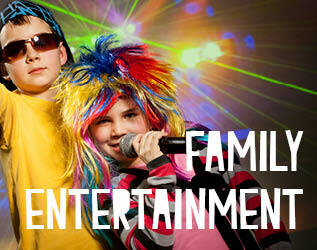 Finding a Christian karaoke Venue - Think Family Friendly! There are also plenty of family friendly venues including sporting clubs, service clubs and restaurants that feature karaoke. Specialised boutique karaoke bars are another great option whereby Christian friends can enjoy singing karaoke in private karaoke booths catering for small, medium and larger sized groups. Prices vary and full restaurant dining or assorted snacks are usually available when booking. Some Christians feel quite at ease walking into a bar whereas others report feeling very uncomfortable. 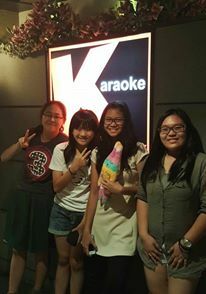 Many popular karaoke songs may not be considered as a suitable song choice due to the nature of the song and lyrics. However karaoke songbooks usually do offer quite a large selection of popular gospel karaoke songs as well as plenty of suitable mainstream songs that Christians may like to sing. Know of Any Karaoke Venues that Christians May Enjoy? As mentioned there are plenty of family friendly venues that offer karaoke as entertainment but most venues do serve alcohol and include lots of drunkenness, are generally loud and full of party goers especially as the night wears on. If you know of any alcohol-free karaoke venues (eg: regular Church groups, private Christian Karaoke gigs and so on) please provide details via our findakaraoke form so these can be added to our database. Australian karaoke that may be a suitable option for Christians wanting a fun karaoke experience minus the alcohol fuelled environment is KBox - Family Karaoke, No Alcohol Zone! Features your own private room and over 1000,000 songs including a large range of gospel music (in English, Chinese, Japanese, Indonesian, Thai and Malaysian). KBOX is awesome! Ideal for Christian Karaoke Singers to enjoy singing in a smoke and alcohol free zone. 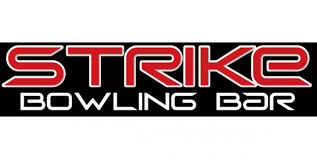 Strike Bowling Bars - Bowling & Karaoke Absolutely Awesome! Anyone that is tired of singing karaoke in typical dingy smoke-filled bars should check out Strike Bowling Bar & karaoke venues as these also offer a karaoke establishment that’s free from profanity, excessive alcohol and cigarettes. So as you can see there are plenty of great options available for anyone that loves to sing in a family-style environment. Check out your local RSL Clubs, Sporting Clubs, Karaoke Themed Restaurants, Strike Bowling Bars and Karaoke Boutique Bars. 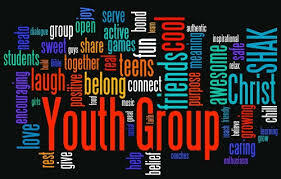 Christian Karaoke at Home or a Youth Group Sing-a-Long! Of course another great option for Christian karaoke is to purchase or hire your own karaoke system or take advantage of the many online karaoke channels of which many are totally free. When you are hosting a Christian karaoke event, you might want to include some secular music to well. However, it is just important to ensure that they are family friendly and the lyrics will be not be offensive to any of the patrons. 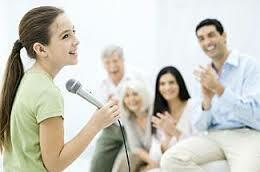 For this reason and a host of others karaoke has become quite popular among Christian believers all across the world.